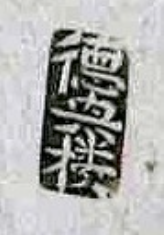 Chinese silver Sycee or ignot were a form of currency that was used in China from the founding of the Qin Dynasty until the fall of the Qing Dynasty. 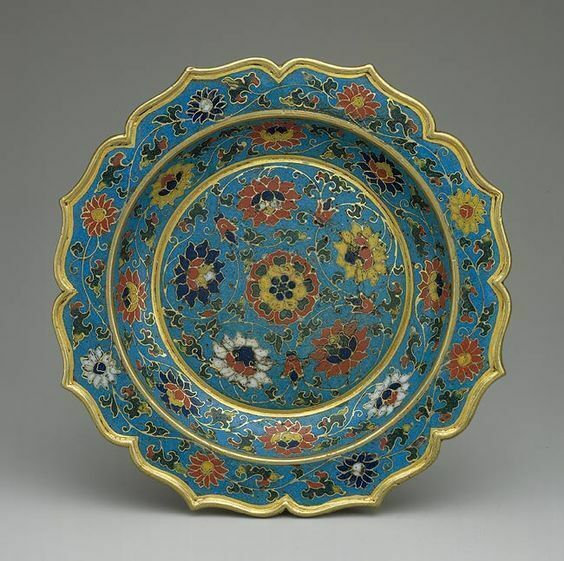 (For Chinese Dynasty timeline, click here.) 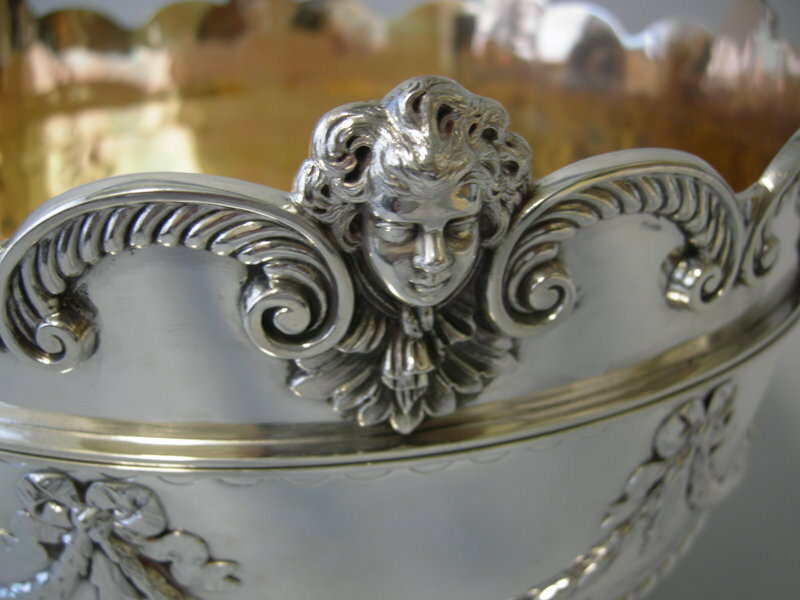 They were made by local silversmiths, leading to a great variance in shape, texture and even the detail on each particular Sycee. They could be made in any shape but were popularly cast into oval or square, as well as animal shapes such as flower, tortoise and others. 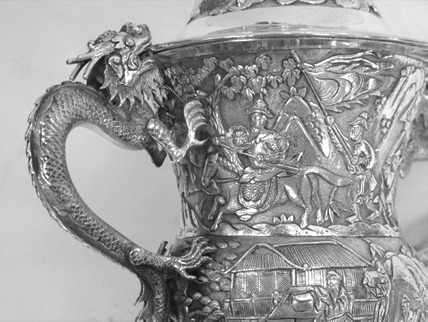 The history of Chinese silver is a long and convoluted one. 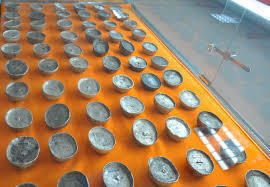 The earliest specimens of silver currency were unearthed in 1970 in Fu Go county and were thought to date back to the Spring Autumn (770-476) and Warring States (471-226 BC) periods. These spade shaped pieces of silver were discounted as common currency as silver was still a scarce and expensive metal during the periods and were instead thought to be the buried treasure of a nobleman. 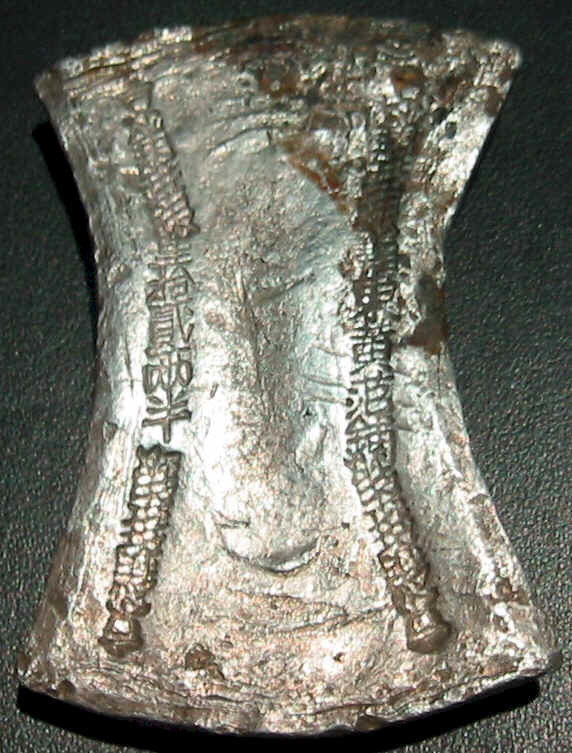 Efforts to introduce silver as a common currency during the Western Han (202 BC to 5 AD) dynasty failed due to the lack of adequate silver deposits as well as poor smelting techniques. Copper continued to be the main form of currency even though a bimetallic monetary system using both silver and copper was introduced during the Tang dynasty. Using this system, 10 silver coins equaled to 1000 copper coins. The value of Sycees was not standard, but was instead determined by Shroffs (money handlers), based on the purity of the silver used, and their weight in taels (Chinese measure of weight). 1 Tael is equivalent to 37.7994 gram. 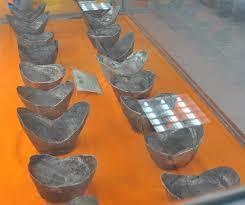 Due to the dearth of rich silver deposits as well as lack of proper smelting techniques, Scyees were low in supply and therefore much in demand in China during the earlier dynasties. 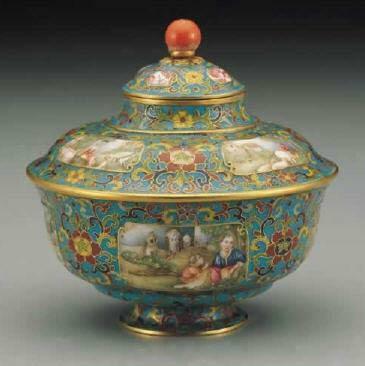 Domestic silver production increased during the Sung dynasty and the resulting Sycees which were minted were used to pay tributes, as war indemnities, as well as for both domestic and international trade. 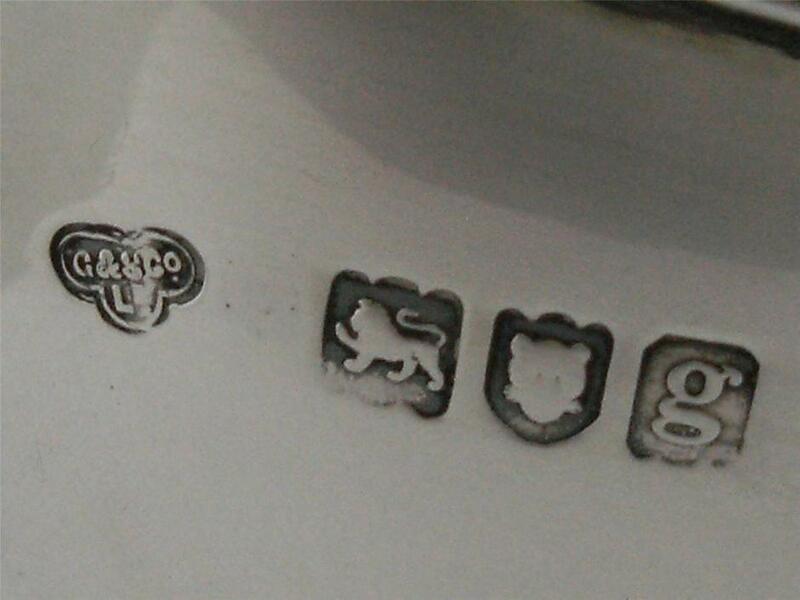 It is well documented that the yearly silver production lies within the range of 210,000 to around 880,000 taels. The figures of production were deprives from records of tributes of war paid to - Liao, Western Xia and Jin and also as a medium of exchange between these states. Silver Sycees continued to be used as a form of currency during several dynasties for several reasons including; the relatively low value of copper currency, the printing of paper money which led to inflation during the Yuan/Mongolian Dynasty, the incorporation of Yunnan's remote far Silver mine during the Yuan Dynasty and the subsequently the inflow of Silver from West during the 15th century. 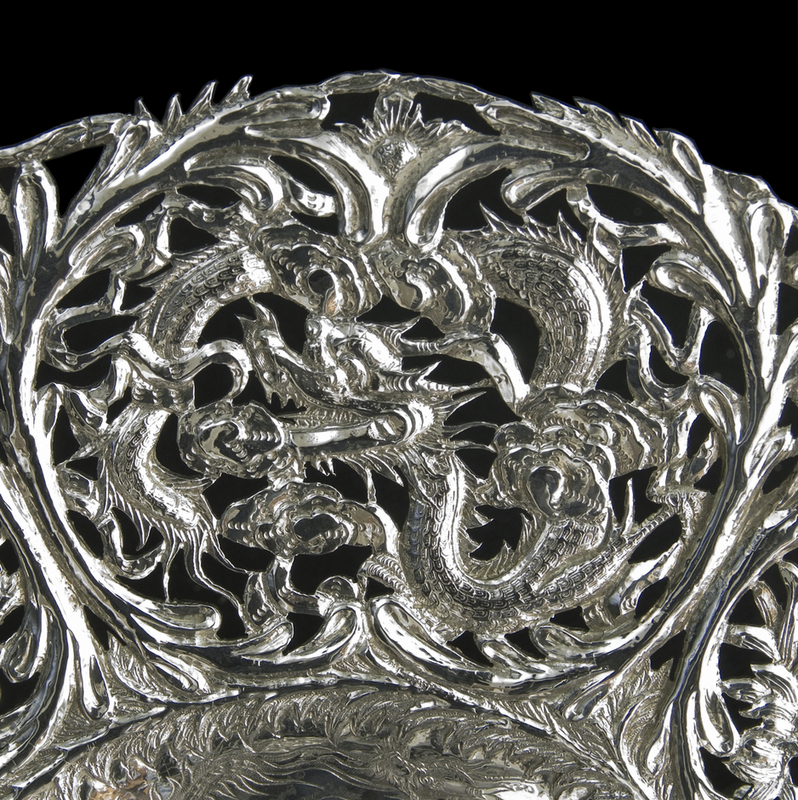 Though trade in silver was largely banned during Ming Dynasties, people continued to use silver in secret, going as far as bartering silver coins for products instead of using the paper money that was in circulation. 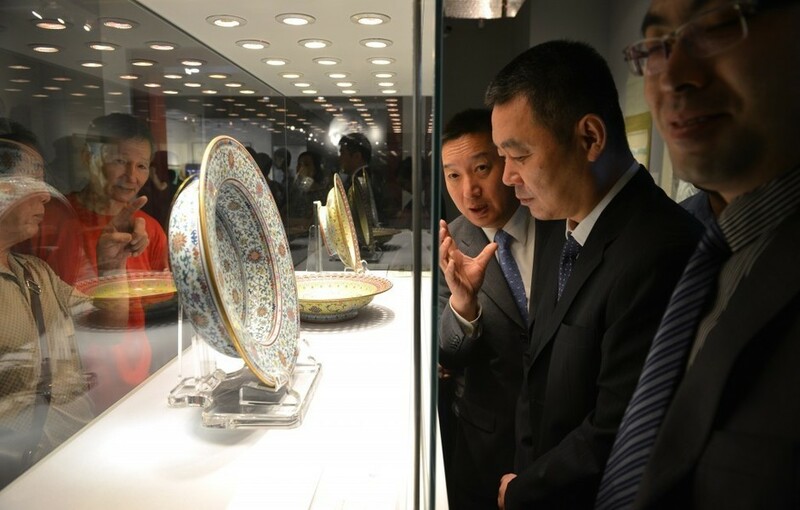 The ban on silver was finally lifted by emperor Ying Zhong, putting silver back into wide circulation. 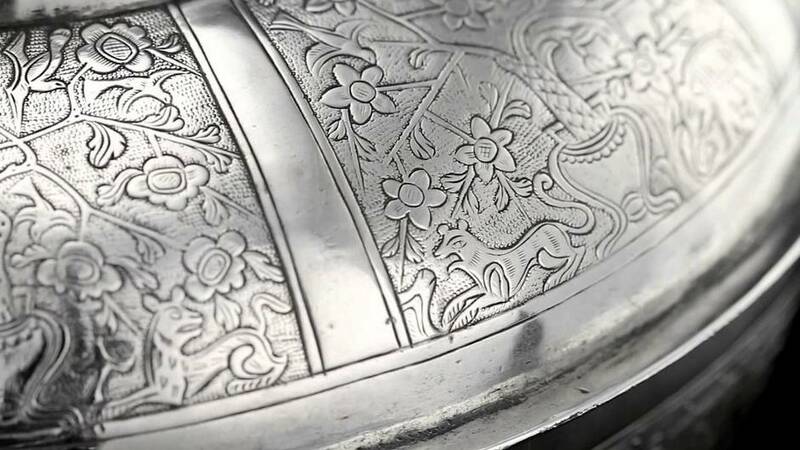 Demand for silver once again.The continuing shortage of silver made it a rare and expensive metal, prompting traders from other parts of the world such as Persia and Arabia to begin to export it to china. 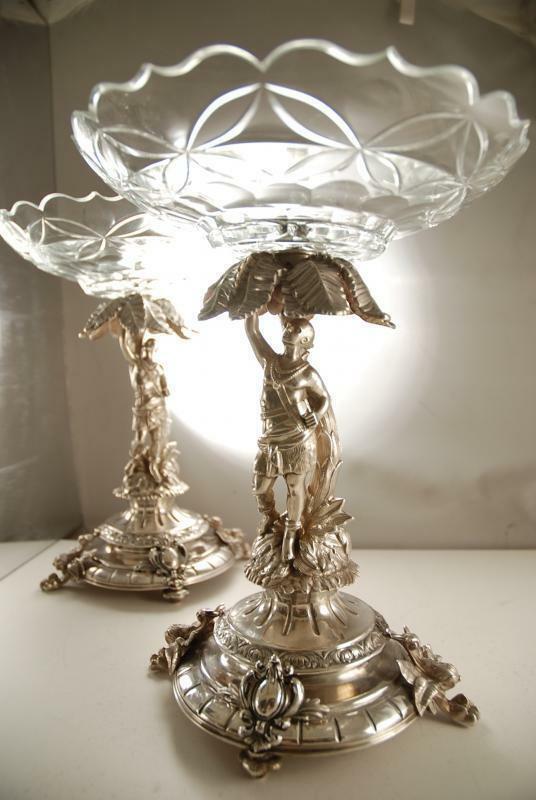 There was an influx of silver from other countries including Spain, Peru and Mexico. 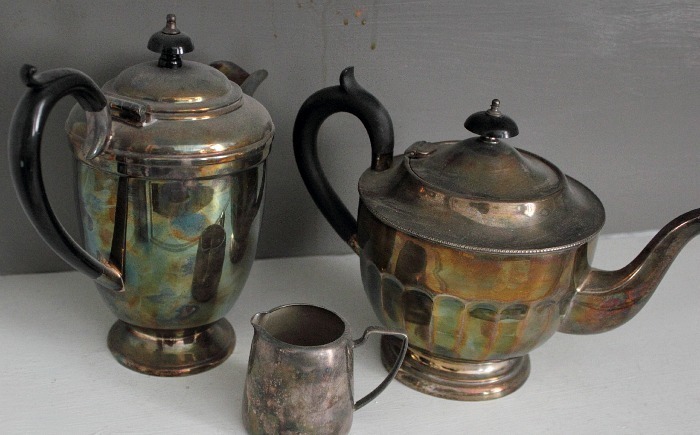 Initially, silver from these countries was smelted down and recast as silver ingots for domestic use, but Chinese officials soon began to accept that foreign silver was of high enough quality to be used as currency in China. Silver currencies from other countries including Spanish Cobs, Dutch Ducats and American silver dollars began to be accepted as currency in china. 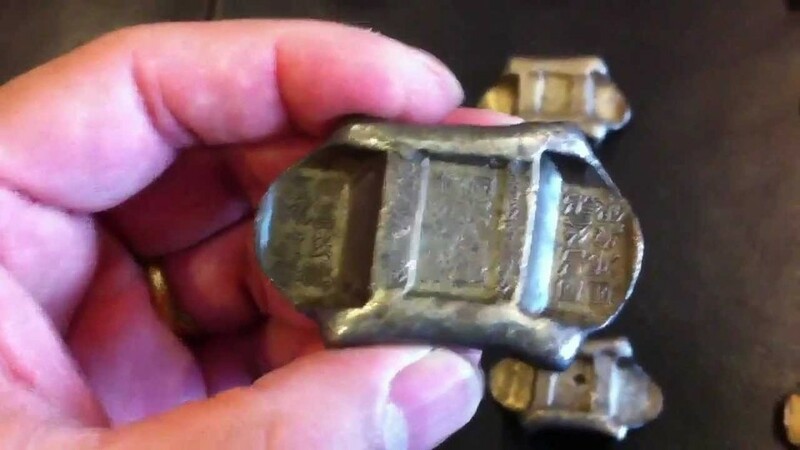 The end of the Ming Dynasty and beginning of the Qing Dynasty saw silver ingots begin to be produced in quantities never seen before and each region developed its own shapes, sizes and design of Sycees, which became increasingly complex and required great skill to produce. The introduction of machine minted silver coins brought an end to handmade Sycees, and by 1933, silver taels had been demonetized, leading to the melting down of many silver ingots into coins. Handmade Sycees are in great demand today due to their intricate workmanship, as well as the fact that many of them were melted down during the demonetization of silver taels.